Agile development and automated testing. The Population Register Centre wanted to accelerate the development of Suomi.fi Messages and to improve project management in a multi-vendor environment. Tieto deployed a team of experts using the best DevOps and SAFe practices to lead the development of Suomi.fi Messages. The Population Register Centre promotes the digitalisation of society and digital services in Finland. The Centre provides Suomi.fi services, maintains the Population Information System and develops certified digital services for citizens, public administration and companies. 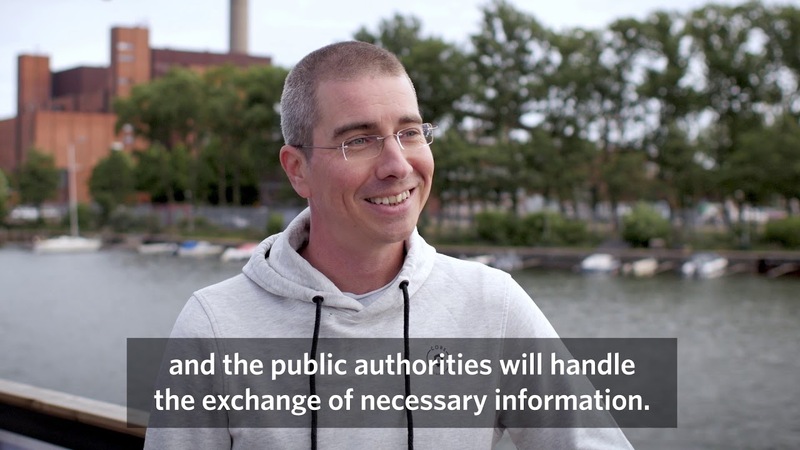 Suomi.fi Messages is a way to exchange confidential messages between citizens and public authorities. The service is an integral part of the development of digital citizen services. The automated and transparent development process enabled Suomi.fi Messages to be implemented at an increasing pace. New services could be deployed in a matter of minutes – not weeks, as before. Suomi.fi Web Service provides citizens and companies a point of access to public services. By logging in to the Suomi.fi service, citizens can, for example, browse through their information in different public administration registers and authorize another person to act on their behalf in selected services. Citizens can access Suomi.fi Messages via the website and the mobile application. Instead of traditional paper mail, citizens can receive notices, notifications and other messages from the authorities straight into the Suomi.fi Messages. In accordance with privacy practices, users are identified with strong identification and all messages and attachments are encrypted. Service development relies on agility, security and cooperation. The multi-vendor environment demands for detailed project management and taking all involved parties into account. Suomi.fi Messages has several interfaces with other public sector services. The extremely high requirements for usability, performance and security brought additional challenges to the project. Furthermore, the multi-vendor environment demanded for very careful project coordination. The loop between development and user testing must be short. Feedback needs to be collected from the citizens and the public authorities, and the input taken into account in the service development. Redeeming the service promise - security and reliable delivery of each and every message - was one of the most crucial things to us. It is not acceptable, under any circumstances, for a single message to get lost. When it comes to quality, automated testing and precise project management are of key. In the development phase, thousands of tests are run, and automatization helps in finding bugs. Developers’ work has been streamlined by splitting use cases into smaller pieces, making it easier to keep track of progress. “We are taking small features all the way through the pipeline and getting feedback quickly from the users”, Lasse Pynnönen says. Suomi.fi Web Service gained a mobile application in June 2018. The application, available for Android and iOS, makes it possible to receive messages from public authorities directly to mobile devices. A team of experienced professionals, using the agile model for development, has been working on Suomi.fi Messages. The team has engaged in tight-knit cooperation with the client and other service providers. Suomi.fi Messages is implemented according to modern DevOps practices. The aim is to automate the entire pipeline, all the way from program code changes to publishing and deployment. The pipeline includes code compiling, unit testing, quality analysis, publishing, deployment and test automation. Tieto DevOps team has accelerated the development of Suomi.fi Messages with test automation built on Robot Framework and Selenium libraries. The new structure gives the automated testing a coverage of 20 percent, whereas before, the coverage was zero. The development of Suomi.fi digital services is improved with Scrum and Scaled Agile Framework. SAFe allows hundreds of developers to see the entire development process and to understand the meaning of their work as a part of a whole. Tieto will continue developing Suomi.fi digital services until the year 2021. Tieto has taken more responsibility in the application development and has a role as an IT operations provider. Tieto has been an excellent sparring partner for us.